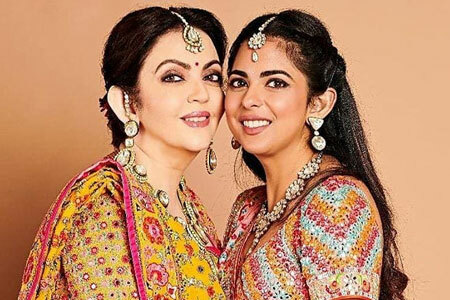 Mukesh and Nita Ambani's daughter Isha is set to tie the knot with Anand Piramal in December. As the family gears up for the high-profile wedding, a traditional garba function was held over the weekend. 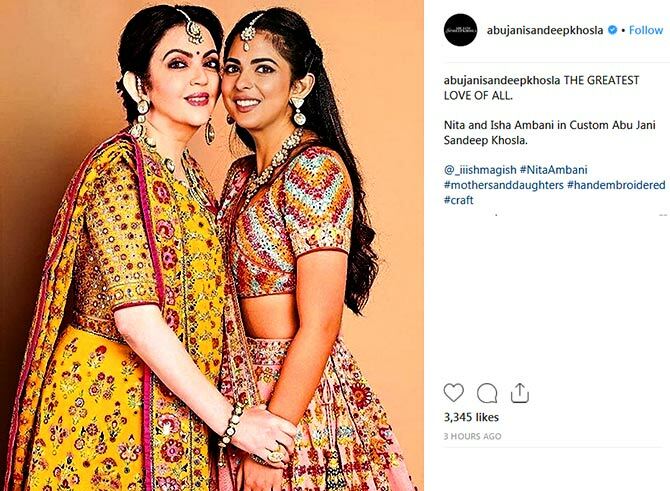 We couldn't help but notice how the mother-daughter duo made sure they were dressed in custom-made Abu Jani Sandeep Khosla creations. 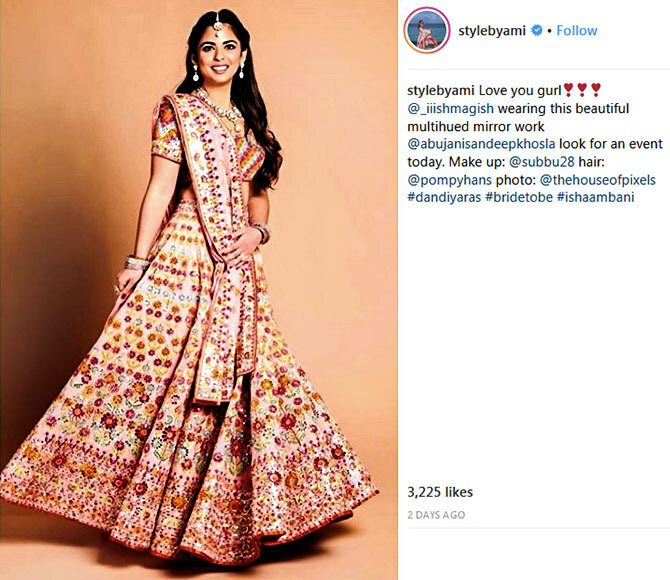 While Nita Ambani was dressed in a handcrafted yellow floral Gujarati-style sari, bride-to-be Isha wore a peach lehenga with multi-colour mirror and thread work, designed by Abu Jani and Sandeep Khosla. Nita completed her look with a statement necklace and matching bracelets and earrings. 'Radiance personified! 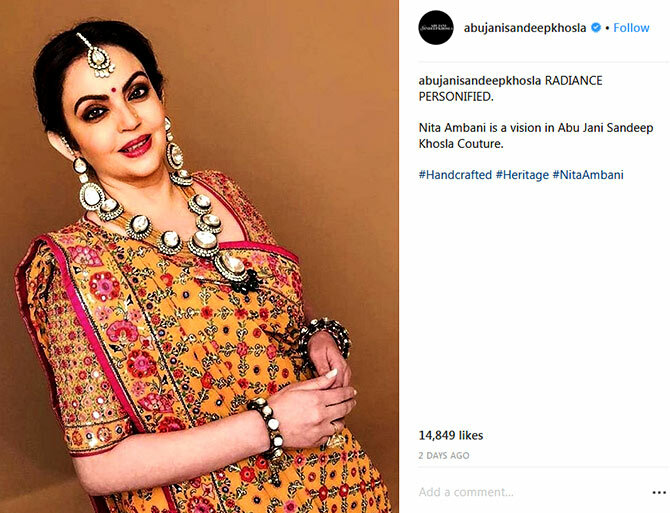 Nita Ambani is a vision in Abu Jani Sandeep Khosla,' wrote the designer duo as they uploaded this pic on Instagram. 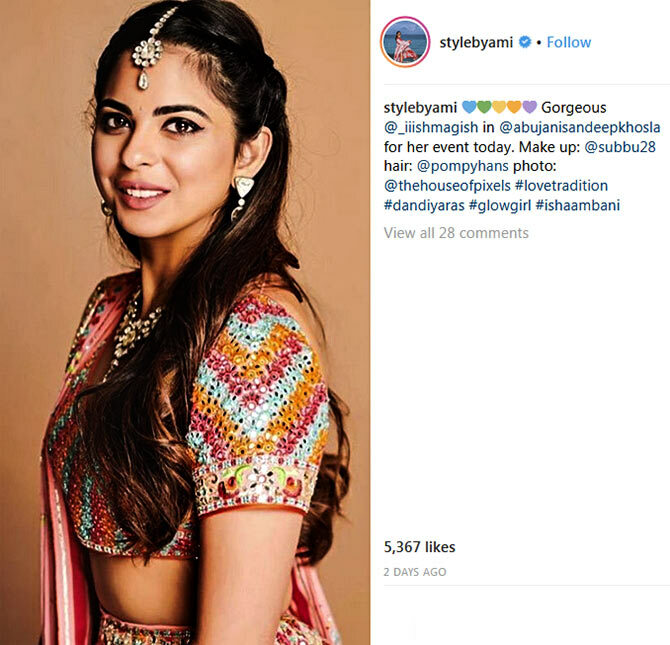 Celebrity stylist Ami Patel shared a pic of Isha dressed in the lovely multi-hued mirror-work lehenga.